The Tracktion Software Corporation has released T7, the latest version of their DAW. An overview of the future Tracktion 7 and a quick glance at the Copper Reference interface, live from the Tracktion booth. 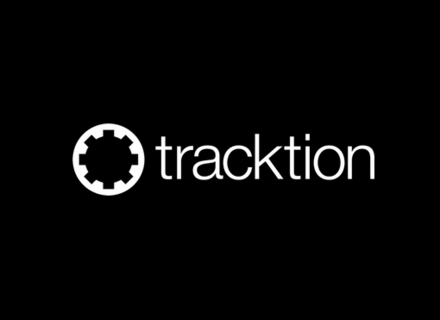 Along with the release of version 6, which has recently been expanded to Linux, the Tracktion team is now offering the v4 for free. The rumor was growing since the NAMM, but we had to wait almost one more month to finally discover the 6th version of the Tracktion DAW. The Tracktion team decided to offer all their Tracktion 5 owners a free licence for the Melodyne Essential audio pitch shifter. The Tracktion Software Corporation team released version 5.3 of its Tracktion DAW for Mac, PC and Linux. It was expected for NAMM, but the Tracktion team took a few more days to release of the 5th version of their DAW. Following Mac and Windows versions, the Tracktion 4 DAW is now available on the Linux OS. Behringer announces at Musikmesse that some of their products will now include a full license for the Tracktion 4 DAW.